Safe Mode must have been familiar among Windows users. Booting into Safe Mode is a common thing when troubleshooting a PC. Usually, a Windows user has to press F8 during booting. Unfortunately, this procedure has been changed in Windows 10. You can no longer use F8 to get into the Safe Mode. However, booting into Safe Mode is still possible in Windows 10/8. In this post, we are going to discuss how to boot in Safe Mode on Windows 10/8. Safe Mode is the diagnostic mode of a system operation where it’s only the essential programs and services to run on startup. In Windows, we log in to the Safe Mode whenever we have a problem when booting to the normal mode. Since it is only the essential programs that run, the user interface of Safe Mode is very simple. Through this mode, you can repair your computer that is caused by the third party applications that you have just installed. You can also repair the Settings via Safe Mode. In Windows 10 and 8, the procedure to boot in Safe Mode is different. F8 which was the key to get into Safe Mode has been disabled in this version of Windows. Fortunately, we still can boot into Safe Mode in Windows 10 and 8. There are two methods to boot into Safe Mode in Windows 10 and 8. Follow the method how to boot in Safe Mode on Windows 10/8 below carefully. The first method you can use to access Safe Mode is by getting into the Windows recovery environment. 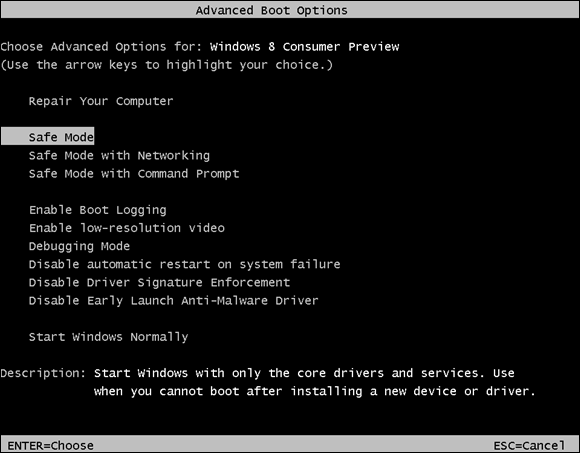 There are two steps to boot in Safe Mode from the Recovery Environment: your PC can start Windows normally or not. Let’s jump to the steps below to know how to boot in Safe Mode on Windows 10/8 from the Recovery Environment. Let’s say that you have no problem sign in to Windows, but you want to get into the Safe Mode. Then, from here, you can get to the recovery environment by holding down the Shift key + Restart. Another way that you can try to get to the recovery environment is pressing Windows + I key together to launch Settings. Then, hit the Update & Security option. Switch to the Recovery tab in the left column. 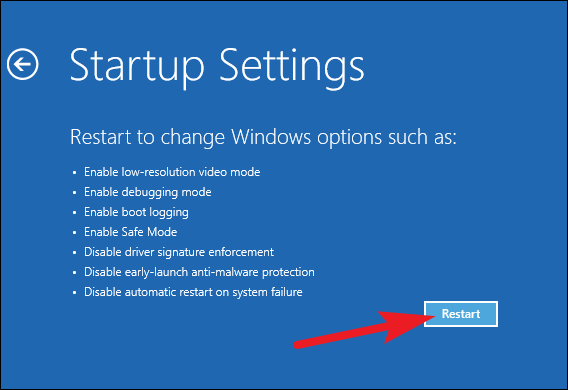 Find Restart now in the right column and click on it under the Advanced Startup section. Both ways above will take you to the recovery environment. Basically, if your Windows PC won’t start Windows normally twice in a row, it should go to the Recovery option automatically. However, if your PC doesn’t show the recovery option, you can try starting PC from a USB recovery drive. Make sure you have prepared it in advanced. You can try to press F8 key during boot to open the Recovery screen. But remember that some manufacturers disable this function. You can try, though. Whichever methods above that you try, it’s doesn’t matter. The most important thing is that you can go to the Recovery Environment and get into Safe Mode boot from here. 1. Press Troubleshoot button to access the Troubleshoot. 2. Hit the Advanced Options button. 3. Now, click the Startup Settings option. 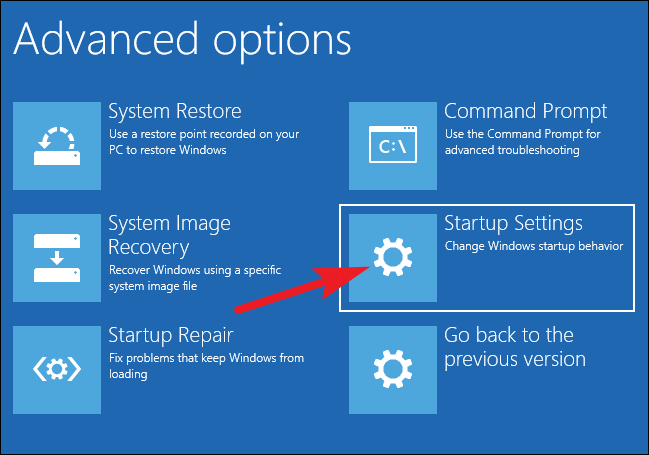 (In Windows 8, you should find Windows Startup Settings). 4. Finally, press Restart button. You will be taken to the Advanced Boot Options menu. Choose the startup option that you want to use. There are several different modes of startup that you can use in here. Use the arrow key on the keyboard to choose the Safe Mode options (number 4). Tap Enter to boot into Safe Mode. 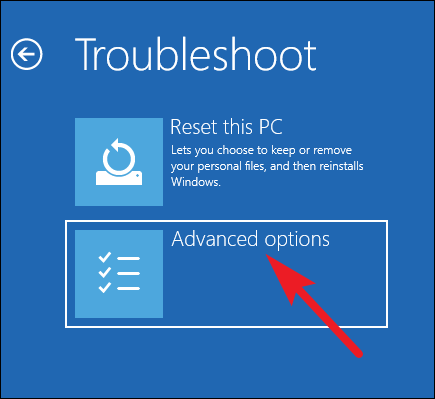 If you are using Windows 8, you won’t see the Advanced Boot Options like on the image above, instead you will see a black screen with some Safe Mode options. 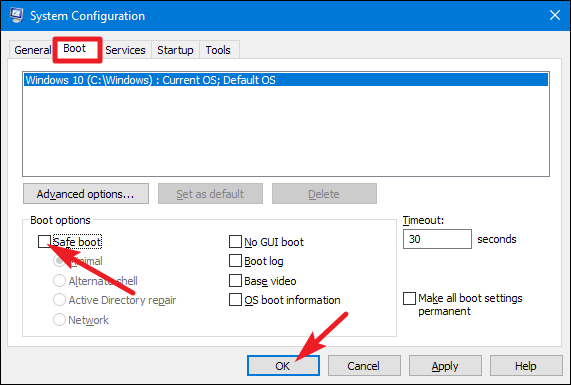 If by some reasons you cannot do the methods above, you can do the following steps to force Windows to boot into Safe Mode using the System Configuration tool. This tool will let you to boot into Safe Mode every time you start Windows. It will go back to normal Windows when you have asked the system to. If you want to start Windows normally again, you should go back into the System Configuration tool and disable the option. That’s it. 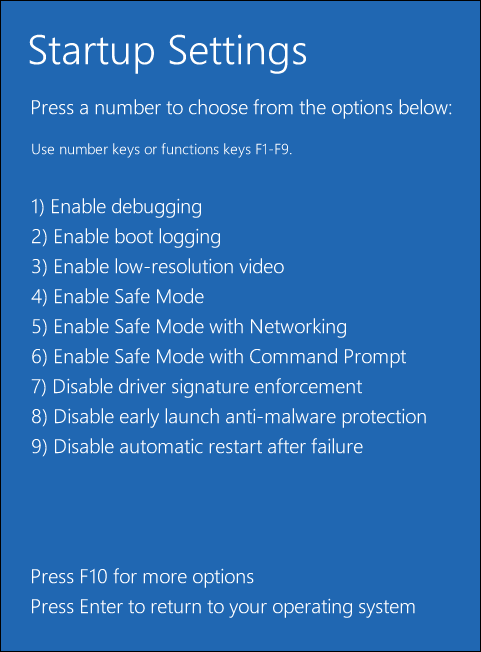 Those are the methods that you can do to boot in Safe Mode on Windows 10/8. We suggest you to follow the steps-wise guides above carefully and read them thoroughly before you proceed. We hope it helps you. If you have any questions, please drop it in the Comment Section. Thank you for reading win10repair!